A lovely thanks image to express your thanks and gratitude to your dear ones who had wished you a happy new year. This picture beautifully blends love and affection with a thanks message. 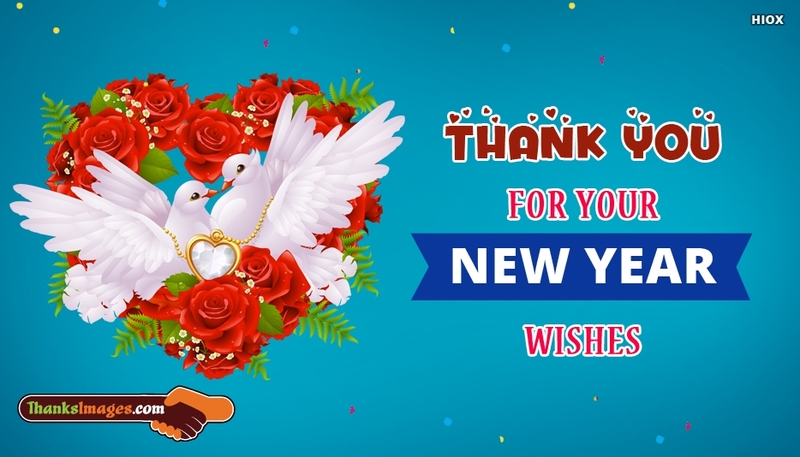 The picture shows the image of a lovely love heart nest and two love birds in it and saying the message "Thank You For Your New Year Wishes". Use this thanks image as an opportunity to convey your love and affection to your dear one through a thanks message.